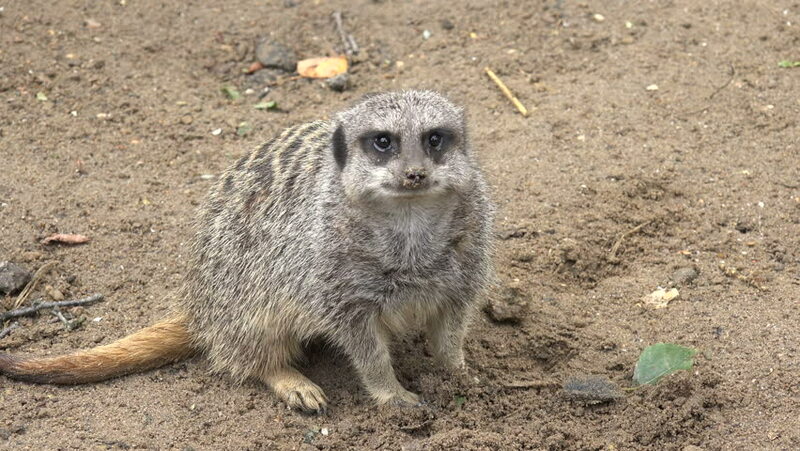 hd00:13Meerkat stands on two legs and looking out for danger at the Khao Kheow Open Zoo. Thailand. Slow Motion in 96 fps.